Searching for the perfect itinerary in Asia that you can feel good about? These awesome Asia itinerary choices for responsible travellers puts a premium on feel-good travel. This is our list of top Asia tour alternatives that do travel differently. Asia has gone from the backpacker destination of choice to the perfect getaway for families, honeymoons and luxury travel, too. At the same time, travel companies (like us!) are hard at work making the region more accessible with perfectly-planned itineraries that get to the heart of culture, wilderness and wildlife in Asia. But as Asia’s tourism grows year on year, so do the risks to local communities, animal species and ecosystems. Choosing your itinerary wisely has become even more important in recent years, since even the smallest change in your travel plans can have a big impact on the lives of the locals (human and animal alike). So what makes for an itinerary that does things a little differently? We rounded up a few of our favourite ways to shake up the standard itinerary to make it a responsible journey to remember. From homestays to cultural immersion to community-based tourism, these are our favourite itineraries to get in touch with your inner explorer this year! Show anyone a photo of Cambodia’s magnificent Angkor Wat, and its not hard to see why Cambodia is climbing the lists of top travel destinations in Asia every year. Most that head to this historic country have their sights set on the Angkorian-era gem – but those that stop short of cultural immersion miss out on what makes Cambodia very special. As Cambodia’s tourism grows, local communities in rural Siem Reap sometimes struggle to benefit from the economic growth of the main city. The best way to bring the benefits of the travel dollar to local communities is through responsibly-developed local homestays. These homestays not only bring local residents and foreign visitors together, but also provides sustainable income to communities that can use it for infrastructure, education and health. Chansor Village, located about 40 kilometers outside of Siem Reap, is far off the beaten track – and a great example of this proven model for sustainable tourism. The highlight of this journey is the connection with the locals. 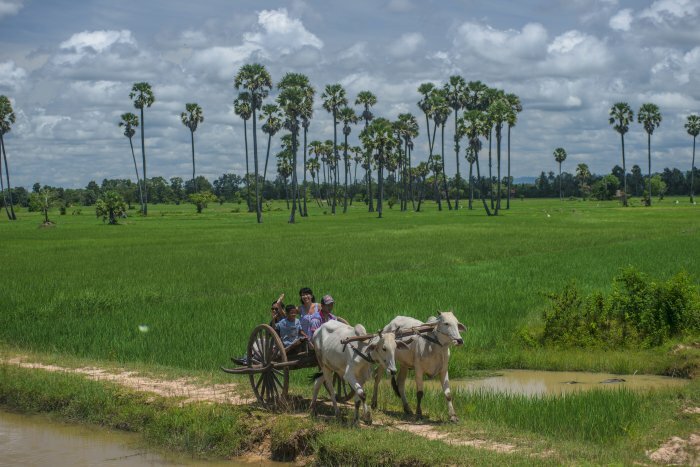 Try your hand at local crafts, explore the streets by ox-cart or lend a hand making fresh, Khmer cuisine with your host family. From learning to make brooms from completely natural materials to wandering around Kampong Kleang, you’ll come away from Cambodia feeling like you’ve truly learnt about the community – and spent your travel dollar on something truly deserving. Is this your perfect itinerary? Here’s how you book. Good luck finding a more photogenic destination that stunning Sapa, a mountainous frontier town in northernmost reaches of Vietnam. 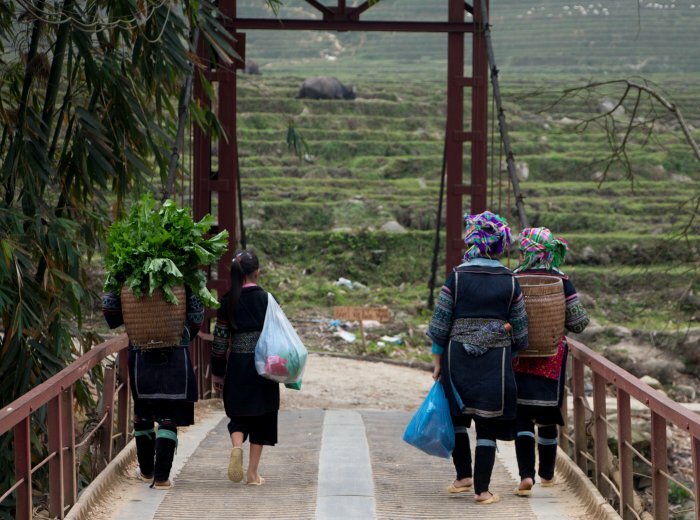 Sapa is famous for its ethnic minority locals and communities – but these communities sometimes don’t benefit from the rise in tourism to Sapa. Thankfully, there’s one way to change that: the homestay. In the picturesque valleys surrounding the village of Y Linh Ho and Lao Chai, this adventurous itinerary takes you through the less-traversed areas of Sapa surrounded by multi-faceted scenery of deep river-gorges and towering mountains. The real highlight of the journey is the home of local Black Hmong woman Ms. Moo and her family. A warm and welcoming host, Ms. Moo is one of many homestay entrepreneurs who use income from hosting visitors to support her children’s education and the growth of her community. Between learning how to cook traditional H’mong food over an open fire to admiring a breathtaking view of the sunrise over paddy fields, supporting local communities never looked this beautiful. Request a quote for this journey – or ask to add it to your customised Vietnam itinerary! Daily life in Luang Prabang has so many intriguing elements that it’s hard to know where to start. From dipping your toes in one of the beautiful waterfalls to browsing the colourful and atmospheric markets, tradition is a prominent feature throughout the city. Most will spend a significant amount of time exploring the temples and night markets, but the real magic lies in the outlying communities. On an in-depth itinerary that discovers the charms of three distinctive cultures – the H’mong, Khmu and Loa Loum – this immersive journey connects travellers to local cultures while minimising your travel footprint. 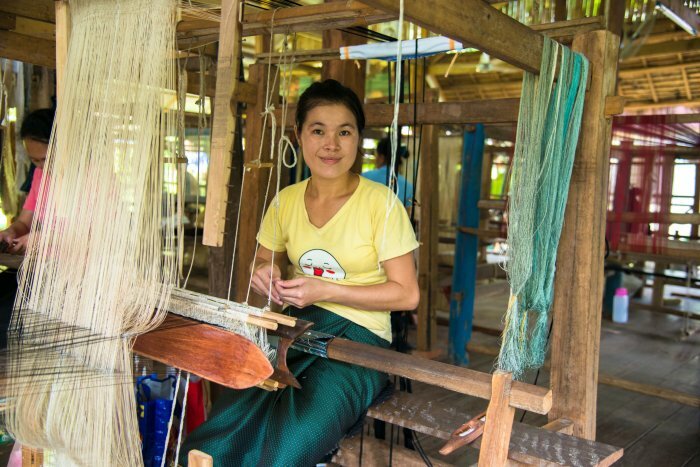 Swap private cars for bicycles and two feet, and round off your sustainable journey with a visit to Ock Pop Tok, an inspiring social enterprise that supports local artisans through sales of fair-trade textiles. Make this journey a part of your Laos journey. It’s no surprise that Cambodia pops up twice in our round-up of the the best responsible Asia itineraries. With a history of war and genocide, Cambodia relies on smart, responsible choices by foreign travellers to help support its sustainable growth. That said, Cambodia’s youngest locals are often at risk as poverty is high in the country – so its the work of NGOs dedicated to the success of Khmer youth that are making a true and lasting difference. One such organisation is Phare Cambodian Circus, an arts school that provides life-changing arts therapy and training to at-risk local youth. Though its main professional circus operates in Siem Reap, the school is based in the beautiful city of Battambang – the perfect destination for culturally curious who want to give back. On this in-depth journey, you’ll be treated to an energetic and colourful exhibition of talents, from tightrope walking to contortion and high flying to juggling at Phare’s student circus. Much of the show also presents traditional Cambodian stories through theatrical performances, so you can be sure to come away with a strong sense of the Cambodian culture. Book this unforgettable journey to the heart of Battambang. It wasn’t so long ago that Myanmar opened once again to international tourism – so its fascinating locals cultures remain largely untouched and untainted by external influence. 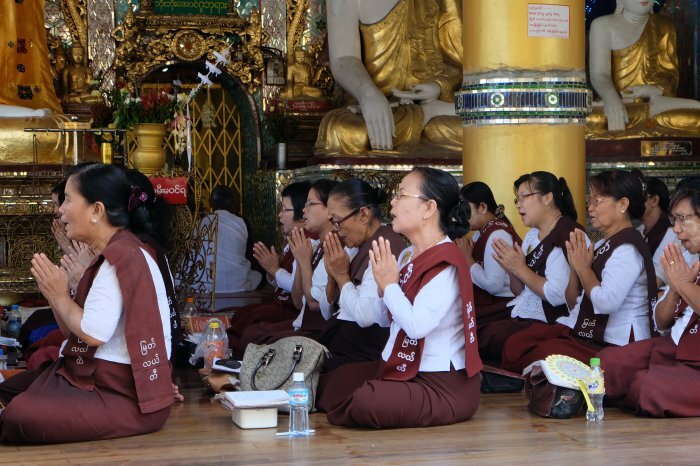 This puts Myanmar’s local culture in a precarious and vulnerable position as more international visitors head here each year. But it’s possible to interact with locals and learn about the warm and wonderful people here during a visit. It all comes down to who you choose to travel with. On a visit to Yangon – once the bustling capital of the country – swap a private car for a trip on the local train. This not only contributes to environmental protection, but gives you the unique opportunity to see how locals live in an environment that doesn’t exploit local culture. While you’re here, don’t forget to pay a visit to the colossal reclining Buddha of Chauk Htat Gyi Pagoda – another great place to witness local culture at its most pure. Make this unique local experience a part of your Myanmar journey this year. Take a scenic bus ride or an overnight train from Bangkok to Chiang Mai and you will find a refreshingly relaxed atmosphere and a combination of modern and traditional culture. Classic rickshaws, tasty Thai street-food and colourful local markets set Chiang Mai apart from the rest of Thailand. Though the city is brimming with swanky international hotels and luxurious spas, there are some responsible travel gems hidden among its modern exterior. One such place is Chiang Mai Women’s Correctional Institute. Yes, you read right! The prison provides vocational training for its inmates participating in the prison’s job-training rehabilitation program. Skilled masseuse learn the tricks of the trade that will hopefully provide them a sustainable income after they are released. This is just one charming stop along our Lanna Local Life Rickshaw Explorer, a rickshaw-powered immersive journey that you can feel good about! 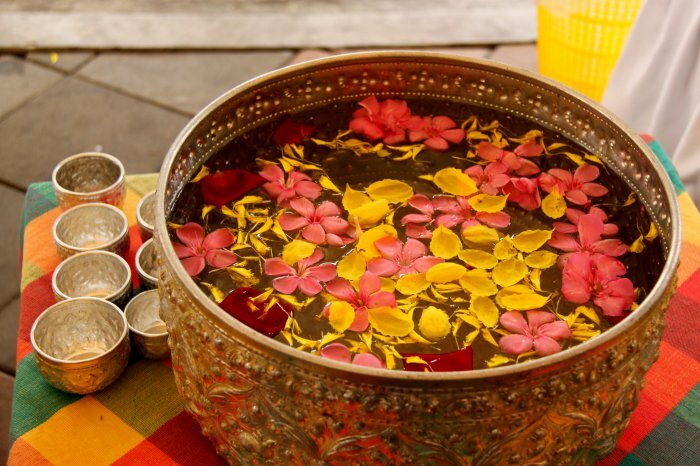 See more about the Lanna Local Life journey – part of our collection of fabulous Thailand itineraries. Make your next Asian journey count for something important. Contact our team of travel experts to start building a journey with a difference. Show us how you’re choosing to travel differently this year with the hashtag #ChangeTravelChangeLives on Facebook, Twitter and Instagram! Not just a travel company, Buffalo Tours’ team is a group of dynamic, passionate and dedicated travel addicts that are always looking for new journeys in Southeast Asia. Responsibility, authenticity and quality of service is at the core of what we do, and we’re proud to call Southeast Asia our home. Visit us online at buffalotours.com or follow us on Twitter, Facebook and Instagram. [INFOGRAPHIC] What is Responsible Travel?